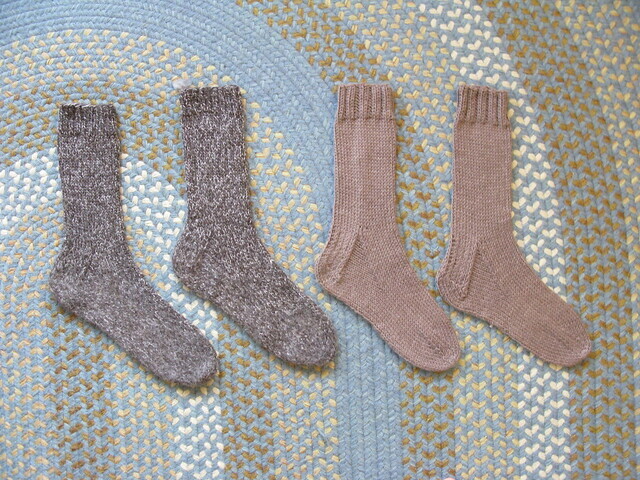 A little while ago I stumbled across a great simple sock pattern (it's free!) on the Lion Brand website. I made Jesse a pair for Valentine's day (so he's already worn them a few times) and just finished up the other pair this afternoon. 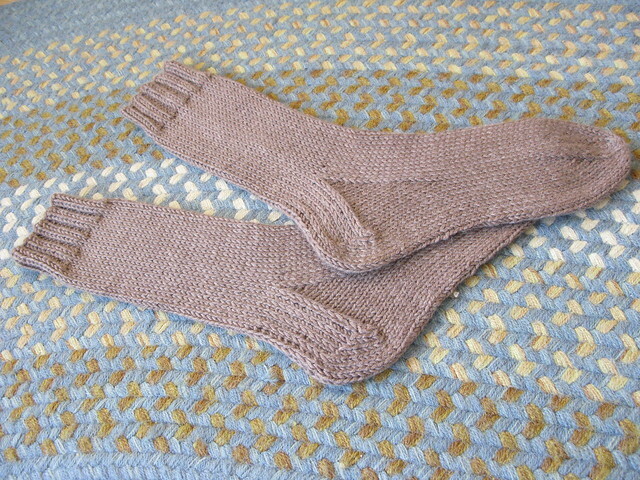 I knit his pair with fisherman's wool and the second pair with left over berocco yarn from my cardigan. It's such an easy pattern, I can see making these again and again! I had never grafted a toe before (though I had used something similar to make a seamless seam once) and it was kind of tricky at first but then I got used to it. The other thing that's been bugging me is not getting my ssk's to look exactly like my k2tog's - does this happen to you too? The k2tog looks perfect and smooth, but the ssk is always a bit lumpy. 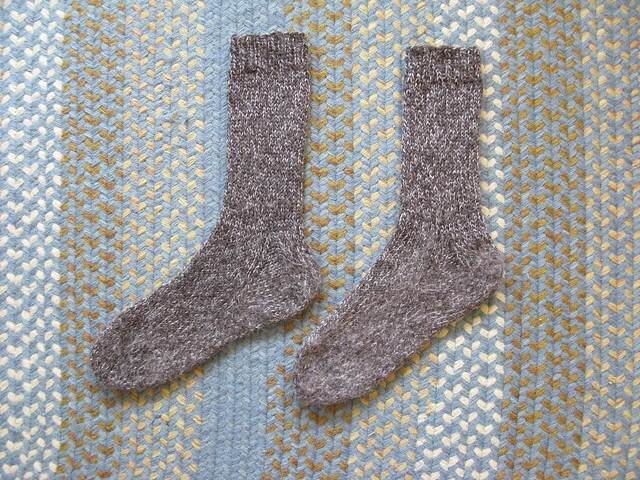 I keep working on it to make the stitches more even (and blocking does help) but they never look exactly the same. I'm probably just crazy. Random thought for the day: Smiling and making more eye contact with strangers. (Not in the creepy way mind you). Already did this 3-4 times today, and got a smile back once or twice. Sometimes everyone looks so glum in Boston like they want to punch a puppy or something. Luckily today is absolutely gorgeous and nothing can wipe a smile off my face. Except my smile was wonky because I had novocaine and was lop-sided, so maybe I was creepy after all. Oh well, I try.